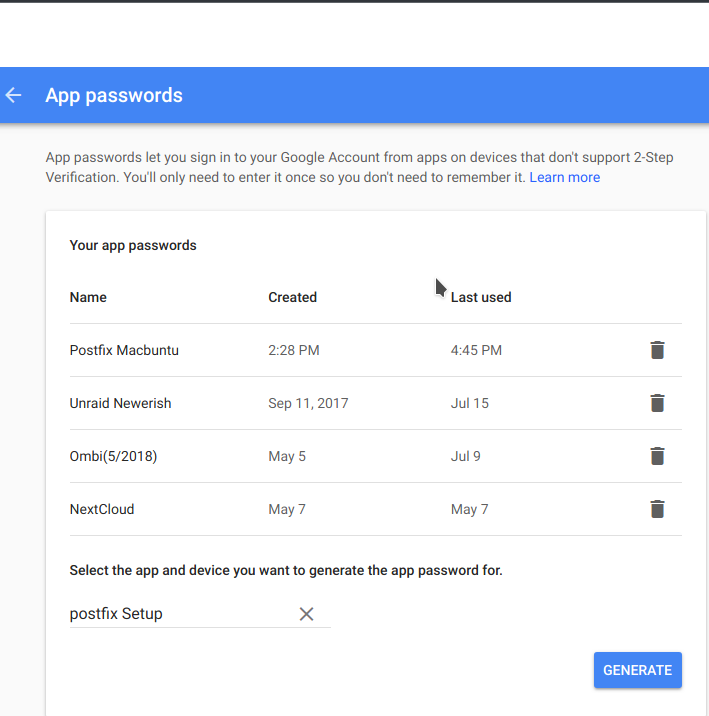 Here's how to set up and install Postfix to send Gmail using two-factor authentication. Postfix is a great program that routes and delivers email to accounts that are external to the system. It is currently used by approximately 33% of internet mail servers. In this article, I'll explain how you can use Postfix to send mail using Gmail with two-factor authentication enabled. Open a web browser and log into your Google account. 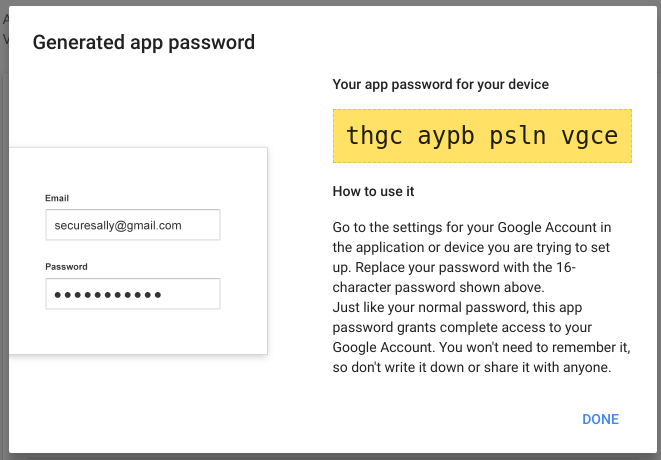 Once you’re in, go to your settings by clicking your picture and selecting "Google Account.” Click “Sign-in & security” and scroll down to "App passwords.” Use your password to log in. Then you can create a new app password (I named mine "postfix Setup”). Note the crazy password (shown below), which I will use throughout this article. In the configuration dialog, select "SASL support." All other options can remain the same. Save and close the file. Since your Gmail password is stored as plaintext, make the file accessible only by root to be extra safe. This step is the "meat and potatoes"—everything you've done so far has been preparation. Postfix gets its configuration from the main.cf file, so the settings in this file are critical. For Google, it is mandatory to enable the correct SSL settings. The smtp_sasl_auth_enable setting enables client-side authentication. We will configure the client’s username and password information in the second part of the example. With the smtp_sasl_password_maps parameter, we configure the Postfix SMTP client to send username and password information to the mail gateway server. Postfix SMTP client SASL security options are set using smtp_sasl_security_options, with a whole lot of options. In this case, it will be nothing; otherwise, Gmail won’t play nicely with Postfix. The smtp_tls_CAfile is a file containing CA certificates of root CAs trusted to sign either remote SMTP server certificates or intermediate CA certificates. From the configure settings page: stmp_use_tls uses TLS when a remote SMTP server announces STARTTLS support, the default is not using TLS. These two OSes are based on the same underpinnings, so they share the same updates. Remember that password file you created? Now you need to feed it into Postfix using postmap. This is part of the mailutils or mailx utilities. To get all the settings and configurations working, you must restart Postfix. Now for the big finale—time to test it to see if it works. The mail command is another tool installed with mailutils or mailx. This is what I used to test my settings, and then it came up in my Gmail. Now you can use Gmail with two-factor authentication in your Postfix setup.